When the FireWing heard the voices, he walked out of the trees and saw what appeared to be a SeaWing and a.... SkyWing? 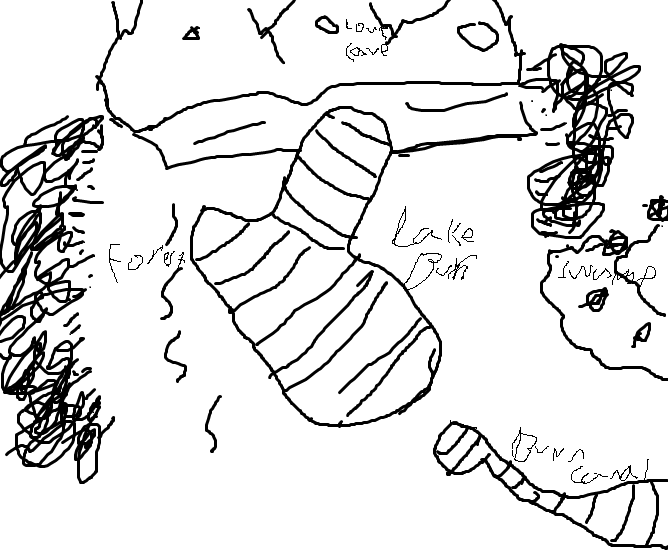 The scout had been sent this way to try and claim some land from Lake Burn. His mission was to get rid of all the rogues in the area. Growling, he turned back to the three FireWings behind him, nodding, "Remember, queen Kenina doesn't want us to burn any of the vegetation near the lake. So try and keep your dumb maws shut when we scare off those rogues!" As Zya listened carefully he noticed that Rayla talked about the seawings like she still cared for them, almost like she was hiding something but deciding to not push any further. "You seem to like them a lot, will your brothers turn up later?" he asked with a smile, starting to feel better the pain started to fade. Focusing on Rayla he didn't notice the firewings close by. Rayla shrugged, "Eh, heck if I know, Ster's always meditating and stuff, and Thira's been kinda distant. Those are their names by the way, Sterlynn and Thirahan. I don't even know where Thira disappears to all the time, all I know is that he comes back looking weird." she lied down, resting her head on her paws. Looking past Zyailor, she spotted something interesting. Four FireWings approaching her. Snarling, Rayla leaped forward, snarling, "What are a bunch of stupid Fire lizards doing in roguelands? Don't you have enough dumb teritory to stomp around in? Go bask in one of your slimy volcanoes, you over-cooked iguanas!" The lead tracker snarled at Rayla, stepping forward, "Ignorant rogue! This is our territory now! We claim it in the name of Kenina, queen of the FireWings! You can either get off now, or we will forcefully take it from you!" the other firewings snarled at Rayla's comment as well. Each FireWing was about 50-60 feet tall, while the leader was a hundred feet tall. This didn't faze Rayla, and she snarled at the big dragons, "Oh yea? You think you could beat up THE goddess of awesomeness and everything icy and watery? Well, hah! Think again, mite-breath!" 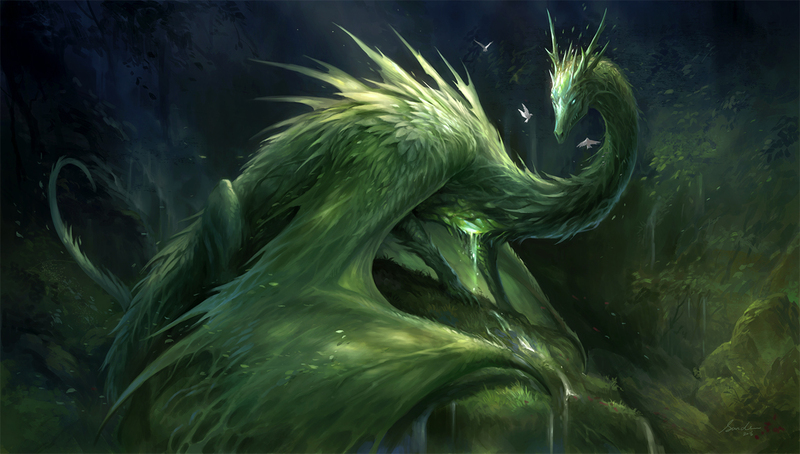 After hearing Rayla snarling towards a group of Firewings he suddenly turned his gaze towards the large dragons, soon enough he become fearful of their large size. Being quite small he didn't stand a chance getting into a fight with him, his speed was his only asset but even getting hit once would cause severe damage. Frowning with worry he bit his lower lip, "R....Rayla theres four of them... I won't be able to help much..." he replied with a nervous tone, as he prepared himself to get into the sky clear from anything dangerous. "Yea, listen to your SkyWing boyfriend over there," Laughed the FireWings. Rayla let out a howl, and leaped onto the red dragon's back, biting down on his neck. The dragon let out a yelp and tried to grab her, but she slithered from his grasp and chomped down on his tail. The other FireWings let out roars, and shot fire at Rayla. Rayla dodged to the side, and the fire hit the lead FireWing. Rayla than leaped up on the FireWing's stomach, digging her claws in, and freezing his stomach. She then ran out before he could shake her off, biting his tail. "KILL THE BRAT!" shouted the leader, and all four FireWings pounced on Rayla. Rayla shot a blast of ice at one of the FireWing's faces, but he countered with a blast of fire, melting the ice. Rayla dodged to the side, causing the grass around her to freeze, and shot freezing water at the four dragons. They shot fire at her, and she yelped. The fire injured her leg, causing a burn. Rayla let out a hiss, rolling onto her stomach and throwing herself at the FireWing. He grabbed Rayla in his mouth and threw her off like discarded prey. Rayla hit the ground with the thud. Bleeding, Rayla's eyes widened as the FireWings charged at her. Hissing, Rayla leaped into the air. She faltered, her wing injured, and fell. The FireWing slapped her, and she slammed into a tree. She let out a gasp, laying still, as the FireWings approached her. She needed to think of a way out of this. Fast! Suddenly, an idea popped into her mind. Rayla's whole body began to glow, and the FireWings backed up, surprised, followed by several gasps of confusion. A blue blur sped past them. When the light cleared, Rayla was gone. Huffing, the big male held his stomach, which throbbed painfully. "Damn rogues..." the firewing then turned to Zyailor, and snarled, "Scram!" As Zya watched the fighting he was amazed at how fast Rayla was, if she wasn't outnumbered without a doubt she could have won. Soon enough Rayla disappeared, Zya looking confused from the turn of events soon enough the firewings turned towards him and shouted at him. Deciding to get clear he managed to get into the air and headed towards the tree line. Choosing not to leave yet he kept a watch eye over the firewings. Rayla, now in her human-dragon form, growled in annoyance. This wasn't what she had wanted! Stupid body, doing this to her at a random time. Rayla wasn't aware that it had been the fear that had caused the transformation. As a last resort, her body sensed her injuries and transformed her into the form that would help her the most. Because Rayla was still learning how to use her forms, she wasn't able to use this newly discovered ability to its full extent quite yet, especially not when it happened out of absolutely nowhere! It was just profoundly annoying for something like this to happen to a straight-forward dragoness like Rayla, and, knowing her, she'd probably never learn to control this ability. As she flew back down to the ground, she spotted Zy, up in the air, away from the FireWings, and she snarled. The coward! How dare he flee and not even try to help her defend her territory? Rayla couldn't attack him in this state, nor would she be able to take on the FireWings. Growling, Rayla decided to single Zyailor down using some ice crystals. Maybe he would see her blue dress and think it was her. After that, she'd just have to convince him that she was Rayla, since Rayla couldn't speak dragon in this state. Running over to a clearing, she imagined a blast of ice, and shot her hand into the air, causing a long slither of ice to shoot into the air, signaling Zyailor. You know, I can't tell if we ever ended this or not. Oh well, let's say it's ended and call it a day. Also, I'm bumping this, and reminding people you don't need to roleplay with everyone in this topic ya scrubs. It can still be private.